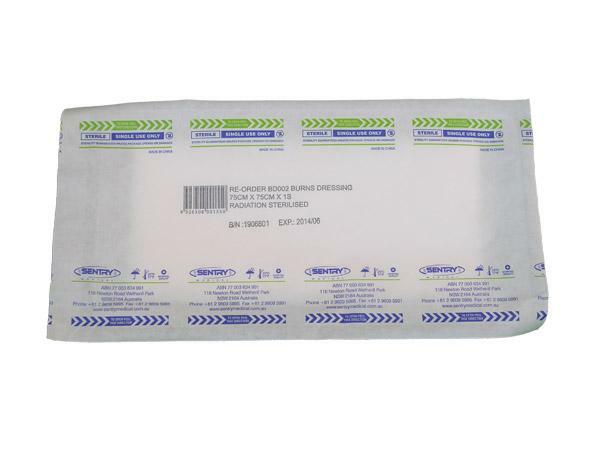 Sentry Medical Burns Dressings are affixed on one side to a thin, non adherent layer. This helps prevent it from adhering to burns, making it less painful when removed. The dressings are applied to the burn site and wet thoroughly during First Aid situations. These dressings provide cool, moist and soothing relief, helping to protect the effected wound site.